And that is how I got to know about Domain Cost Club, DCC, a new domain name registrar, just like GoDaddy or eNom, but with a completely new concept of the business, and offering a very legitimate affiliate program. DCC is a brand new project of Global Domains International Inc., GDI, which has managed another affiliate program for a little over thirteen years. For me, the importance of this experience cannot be over-emphasized. What Is Domain Cost Club? DCC is a direct selling company that markets and distributes international domain name registration services, internet-related services and products, and other products to consumers through Independent Affiliates. Now, a feature peculiar to DCC, and which makes it stand out, is that it sells domain names at-cost prices, a first in the domain name business industry which definitely would endear it to millions of home business owners, casual bloggers and internet professionals across the world. DCC is powered by GDI. GDI was founded in 1999 and launched the .WS ccTLD registry in 2000. GDI has operated a successful Internet-based network marketing program since 2001, making monthly payments to its members for 13 years. Participate in promotional and incentive contests and programs sponsored by DCC for its Affiliates. The term of the Agreement is one year from the date of its acceptance by DCC and shall automatically renew for successive one-year terms unless cancelled. The DomainCostClub.com (“DCC”) compensation plan has great earning potential. Compensation depends on the efforts of each individual affiliate, and no amount of earnings is guaranteed by simply enrolling in the program. To enroll in the DCC Affiliate Program you must purchase an Affiliate Starter Kit. The Affiliate Starter Kit is included with the purchase of a Club Membership, or is available separately for a $199 USD fee. 1. Direct Referrals - If you refer someone directly, you are the “sponsor.” The sponsor of new Club Members is paid $20 per referral, in addition to commission. This is called a “bounty.” The sponsor of new Charter Club Members is paid a $180 bounty. 2. 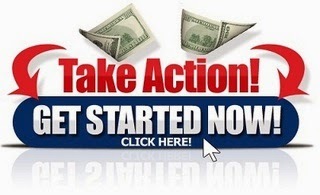 Indirect Referrals - The DCC Affiliate Program is a network marketing program. This means it pays out on multiple levels. You receive commission for direct referrals, and may receive commission for their referrals, their referrals, and so on for several levels. Commission is $5 per Club Member and $20 per Charter Club Member. For more detail on how networks are built and commission is earned, please refer to the Matrix and Spillover section below. Networks are constructed in a four-by-seven (“4x7”) matrix with spillover. This means that everyone’s first level contains a maximum of four people, and you are paid through seven levels. If your first level contains four people and you have a new referral, they are “spilled over” into your second level. If the second level is full, the referral is spilled over into your third level. This continues infinitely. You are paid the referral bounty for direct referrals, regardless of what level your referral is spilled to. You receive commission for anyone in your seven levels of referrals (your “downline”) regardless of who the original referrer was. If you’ve looked at the matrix and done the math, you’ve realized that there is a maximum of 3288 positions in a 4x7 matrix. To prevent this from limiting your potential income, if your matrix becomes completely full then commission is no longer limited to seven levels of downline. Instead, commission is paid through infinite levels of downline (an “infinity override”), with one exception. If someone else in your downline is earning the infinity override, your override ends at them. For example: If you have earned an infinity override and someone on your sixteenth level has earned an infinity override, you will not be paid on anyone downline from that person. You will be paid on levels 17 through infinity on other persons in your network, but you will not be paid on levels 17 through infinity beneath the other person with an infinity override. ikenna i dont understand how i can earn in this one? wat are they really into? Hello Anonymous, DCC is into a sustainable business. They register, renew and transfer blog and website domain names for customers across the world, similar to what GoDaddy, eNom and other domain name registrars do. What stands them out from the others is their At-Cost pricing offer, a feature you would never find with the other businesses. The affiliate program is very attractive - you come in as a STANDARD MEMBER ($99 per year) or as a CHARTER MEMBER ($499 per year). Commissions are very attractive. So you earn both by the savings you make from their product, by selling their products as an affiliate and also through the affiliate program! ikenna, from your article above i want to know if you mean there is no monthly fee to pay like in agn where silver pay $15, gold pay $50 and diamond pay $100? is that wat u are saying? Hello Anonymous, yes, that is exactly what I mean. There are no monthly fees in DCC. To participate in the club's Affiliate Program, you join either as a STANDARD member or a CHARTER member. Standard members pay an annual fee of $99 only. Charter members, on the other hand, pay a one-time $499 for life. I hope it is clearer now. Cheers!